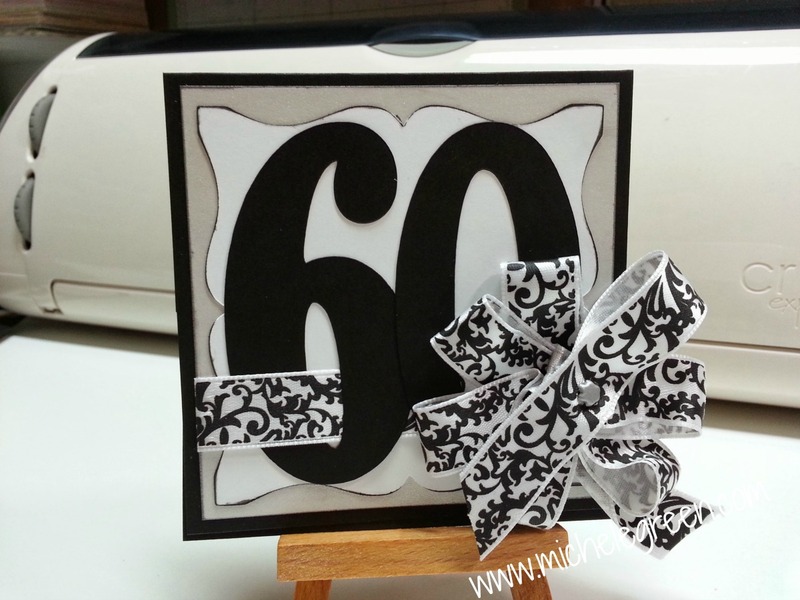 Today is my day over at CricutDIVAS and I am sharing the first easel card I have ever made. I LOVE it! These are so easy to make and a lot of fun to design! 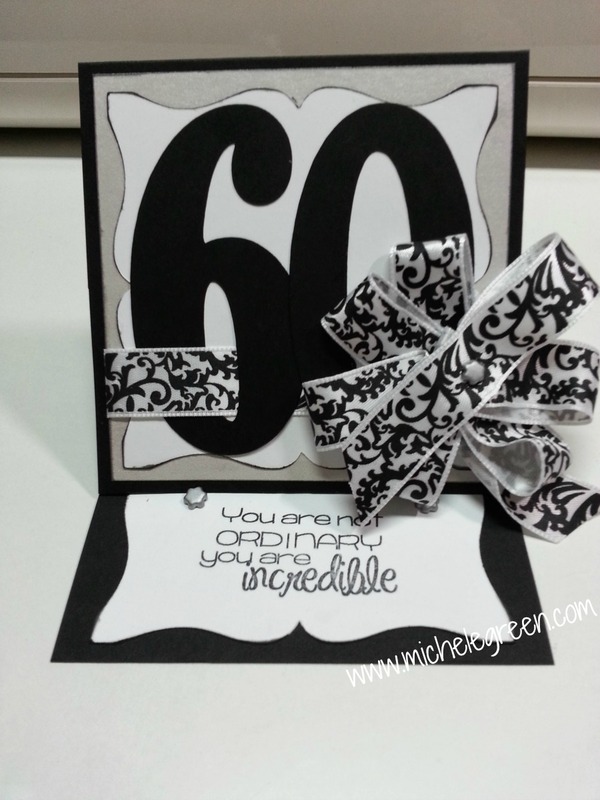 This card celebrates the 60th birthday of a very special woman, my mom. 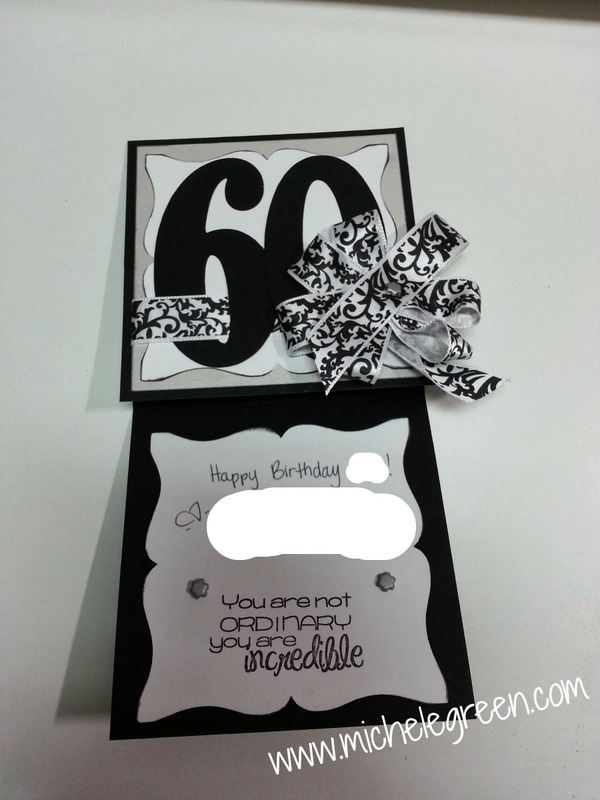 The card measures 4"x4". It started with one 4x12" piece of black cardstock. 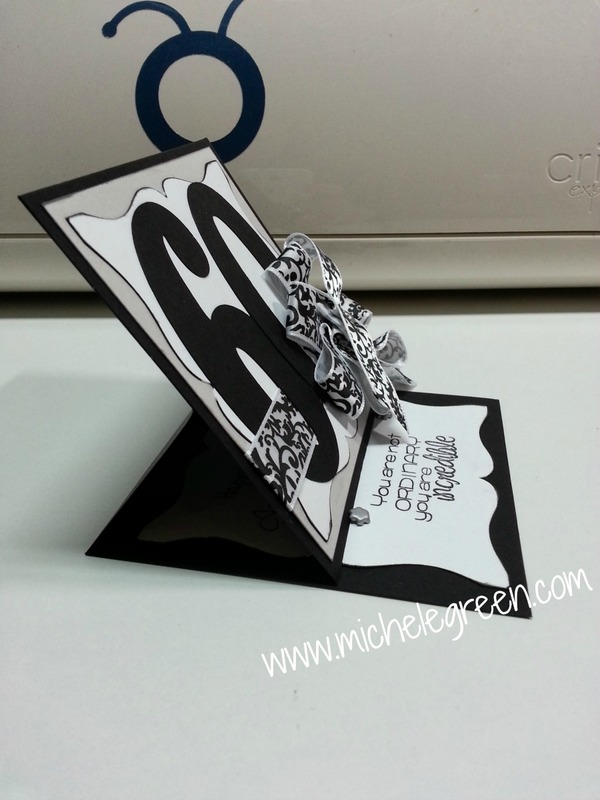 The simplest directions for an easel card can be found HERE. 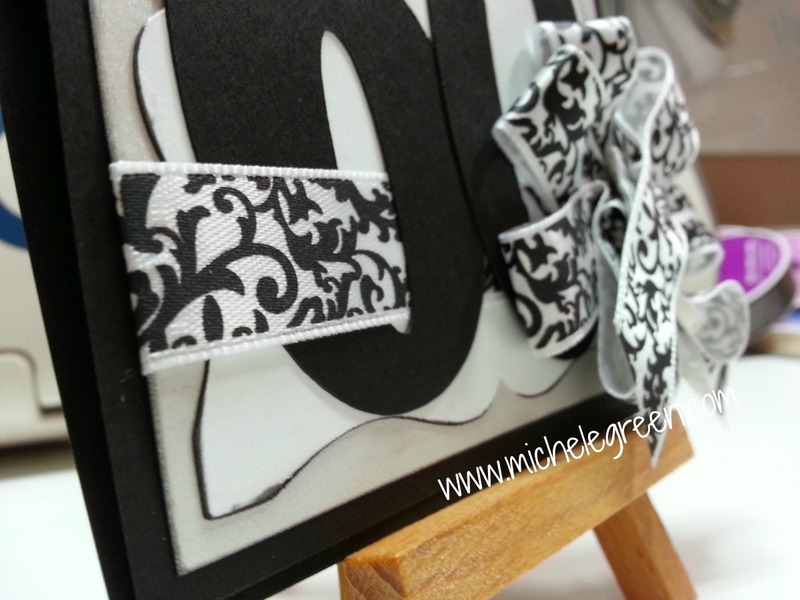 From there I knew I wanted to use paisley so I stayed with silver, white, and black for my card. The white background shape is cut from Paper Trimmings at 3". The 60 is from Theresa Collins Sophisticated cart at 3.25". I hope you have enjoyed this card - I did! :) Easel cards are much easier to make than they appear so I suggest you try one if you never have! I know I waited way to long to try this myself! Neat easel card. Hope you keep crafting! I love the bow you put on this. Have a great Thanksgiving.